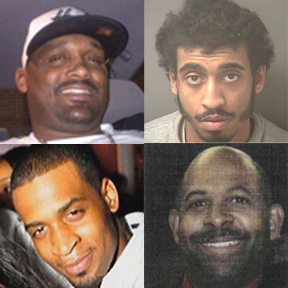 Recently, The Boston Herald published a series “Justice on hold” focusing on the 336 unsolved murders in Boston, particularly the shooting deaths in Roxbury, Dorchester and Mattapan. 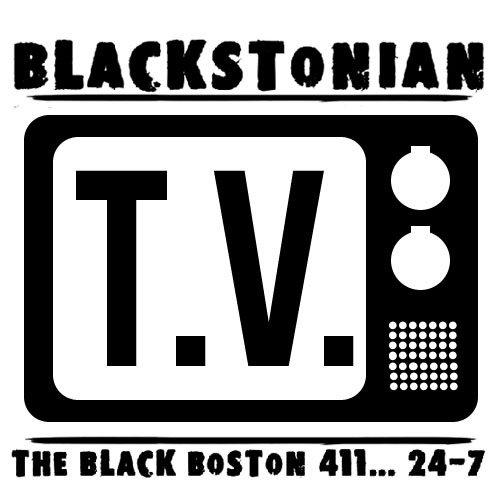 Much of what they revealed confirms “The 20 Year Homicide Report” published here on Blackstonian which was authored by Darrin Howell. While the usual angles were all explored there was one angle that always seems to be missed; the relationship between the Boston Police and communities of color. This major point is often touched on but never fully explored. When discussing crime, law enforcement in this city will often say; “The people won’t talk to us” “They don’t trust us” “If they would only cooperate with us we could solve more crimes.” This air of mistrust is often mentioned at community meetings both public and private and is well known to exist by community members and officers alike. Why do we stop there? The next logical question is: “Why is there mistrust?” As they say therein lies the rub. The mistrust that communities of color have of the BPD are not imagined or assigned to the blue boogeyman out of thin air. In fact there is a history in this country as a whole and this city in particular from which this mistrust arose. We should also note that this suspicion is mutual. Law enforcement officers across the country for decades have had a history of what we now call “racially profiling” Black and Latino men. Here in Boston, our community has never healed from the racial tensions of the riots in the 60’s civil rights era, the turmoil of the 70’s where busing meets Black Power, the stop & frisk and crack era of the 80’s culminating with good ole’ Charles Stuart and on into the 90’s where crack, violence and racial tension all simmered. The one constant among all those decades is that of a very adversarial relationship between the mainly white male officers of the BPD and the Black & Brown communities they patrolled. Each decade produced racially charged cases where a Black or Brown male was somehow beaten, shot, or killed by local law enforcement. In each case, police, unions, politicians and the DA all rally around the police consistently returning from investigations with findings of “no wrong doing” in the face of a community with question and doubts. In community meetings police are quick to take a defensive stance and seem to lose all sense of professionalism and seem unable to calmly discuss the facts of cases where anyone dares to question their official story. For a community where the only victims of shooting death by police are all Black, Latino & Cape Verdean it would seem to be more pattern than coincidence and that premise warrants suspicion. The relationship between communities of color and the Boston Police have been strained as long as I can remember. If we are ever to move forward and address the “mistrust” that continually gets brought up as a reason why murders and other crimes aren’t getting solved then we have to have a serious discussion about the offenses that the police department has committed against citizens. 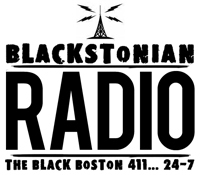 We must address the history and of racism within the BPD. Cases of police brutality and particularly the shooting deaths of civilians by police have to be looked at in a more serious manner, by an independent entity with full legal powers to investigate, subpoena and if need be prosecute. At this point local DAs have shown they are too close to local police departments in order to be impartial. The Department of Justice or Attorney General’s office should take a close look at this history. A true Civilian Review Board would be one step in the right direction. In almost every instance police have been unwilling to address the very real roots of the mistrust apparently without realizing that their reluctance to discuss their own shortcomings actually fuels the mistrust. The Herald also highlighted another problem when dealing with Police misconduct. Often “leaders” within our community who have not been active on cases of police brutality or police killing of civilians and have only partnered with police around “feel good” and grant funded or politically based initiatives, become the voice of police reform. For examination only lets look at how this article mentions planned meetings to learn what resources homicide detectives have at their disposal. No discussion of the community need but rather a discussion to learn the resources that this heavily budgeted unionized agency needs. Ending the article are comments from Boston NAACP Pres. Michael Curry stating that these meetings will not be “to just scream about who is not doing what” and that right there is the problem. Any questioning of police practice is somehow translated as hooting and hollering, ranting and raving and often dismissed as the very basic “F the Police” or “Off the Pigs” rhetoric that doesn’t get anyone anywhere and actually distracts from the main issue of police misconduct. Two of the city’s black community leaders said yesterday they are also trying to organize meetings with police, City Hall and community groups to learn details of what resources homicide detectives have at their disposal — such as how staffing and overtime are allocated. The Herald reported that just 38 percent of the 410 homicides of black males from the past decade have been solved, compared with 79 percent for white males, who were victims in 38 cases. Boston police had no immediate comment about potential meetings yesterday. If we are serious about moving forward and improving race relations in Boston we have to be willing to have some adult conversations about our past, present and future. All of us, community and law enforcement alike, have to be as willing to look at our own faults as we are to accept praise. Both reward and chastisement should be taken in the same spirit. As a city if we are to delve into the question of the community’s mistrust of the police then we have to be willing to unravel our uncomfortable history. Part of that history encompasses decades of police misconduct, police brutality and police killings of citizens. When we call for a renewed look at cases of families who have lost their loved ones, let us also remember the families whose loved one was killed by the police. They are the ones who most often get no information, no answers and no justice. They are the ones most often treated like criminals and receive little support. When we wonder why the community has a deep mistrust of the police let us remember these families and cases which give us more than just cause for concern.